An oscillating tool is a compact, portable power tool that accepts a wide range of interchangeable blades, which can be use to sand, cut, scrape, grind and polish. 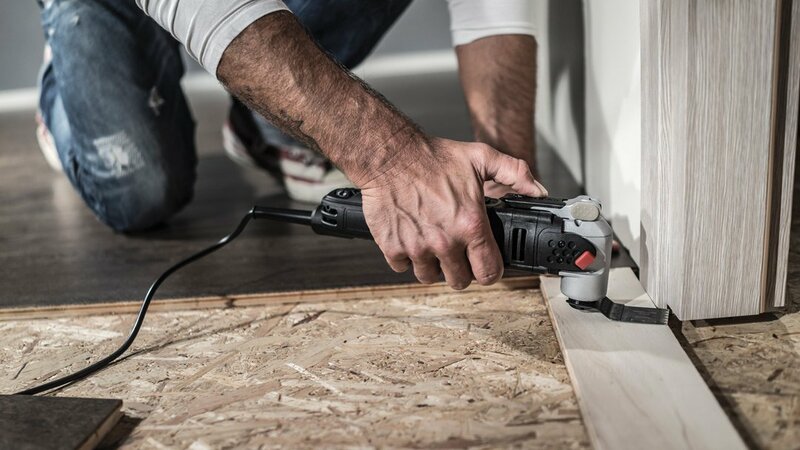 The blade vibrates—or oscillates—back and forth at very high speed, making the tool much easier and safer to use than a circular saw, reciprocating saw, or even a jigsaw. It’ll slice through virtually any building material, including wood, metal, drywall, cement, mortar, plastic, and fiberglass. And, a multi-tool will work in places other power tools wouldn’t dare go, including narrow spaces, tight corners, and awkward angles. 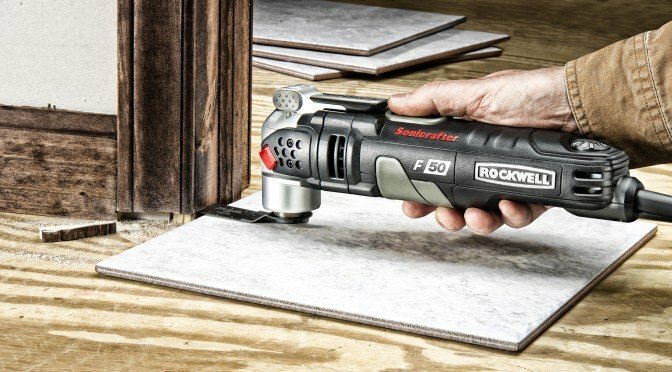 The Rockwell Sonicrafter F50 used to trim a doorjamb during a flooring project. Powerful, variable-speed motor ranging between 3.5 and 4 amps, and running at 11,000 to 20,000 OPM (oscillations per minute). Easy no-tool blade-change mechanism that accepts accessories from any manufacturer. Vibration-dampening design with tapered, easy-grip body. Extra-long power cord—10 ft. or longer—to prevent hang-ups and snags, or in many cases, the need for an extension cord. Fun Fact: The oscillating multi-tool was invented in the 1960s to provide a fast, safe way to remove plaster casts from broken limbs. The first woodworking version didn’t appear until the mid-1990s.